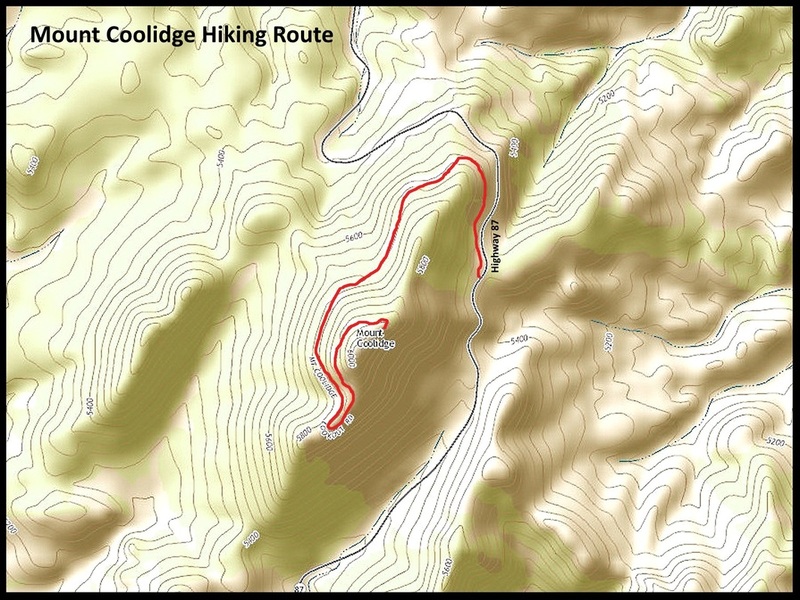 A peak that is not usually thought of as a place to hike is Mount Coolidge. Because of the popularity of its scenic drive to the summit, hikes during the peak of tourist season can be spent dodging vehicles. However, during the off-season the smooth road up to the summit provides a great hike with splendid views along the entire 1.7-mile route. 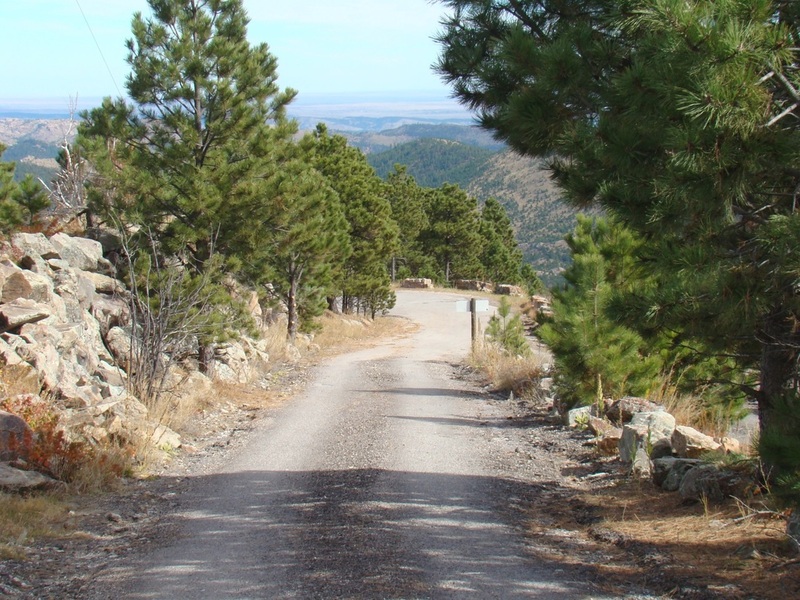 During the off-season, this road is often closed to vehicle traffic, giving hikers the entire road to themselves. There is about 460 feet of elevation gain to the summit. Mount Coolidge is well-known for the historic fire tower at the summit, which is still used from May to mid-October each year. 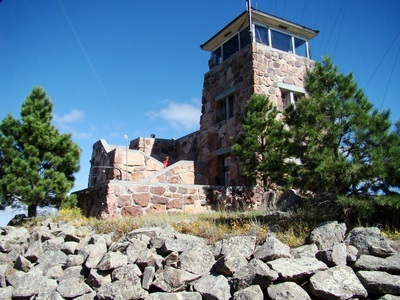 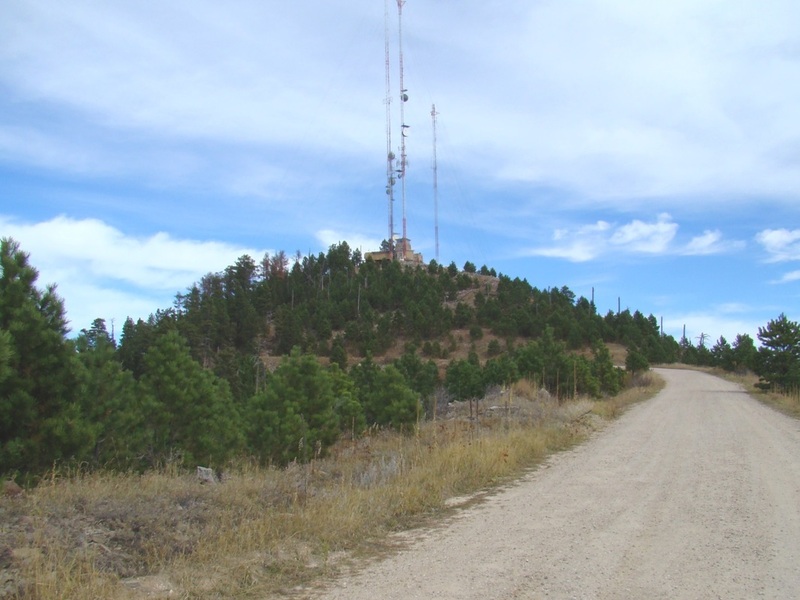 The tower is also used by game biologists for tracking elk and buffalo herds in Custer State Park. 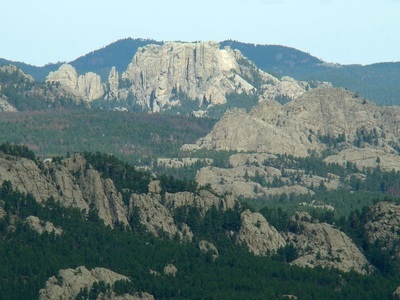 The summit provides great views of Black Elk Peak, Mount Rushmore, Crazy Horse, Cathedral Spires and other Black Hills summits. 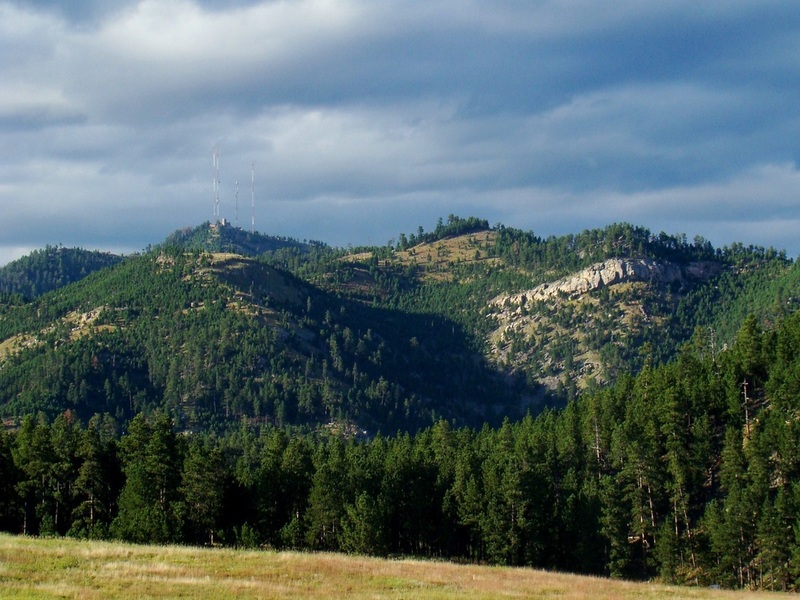 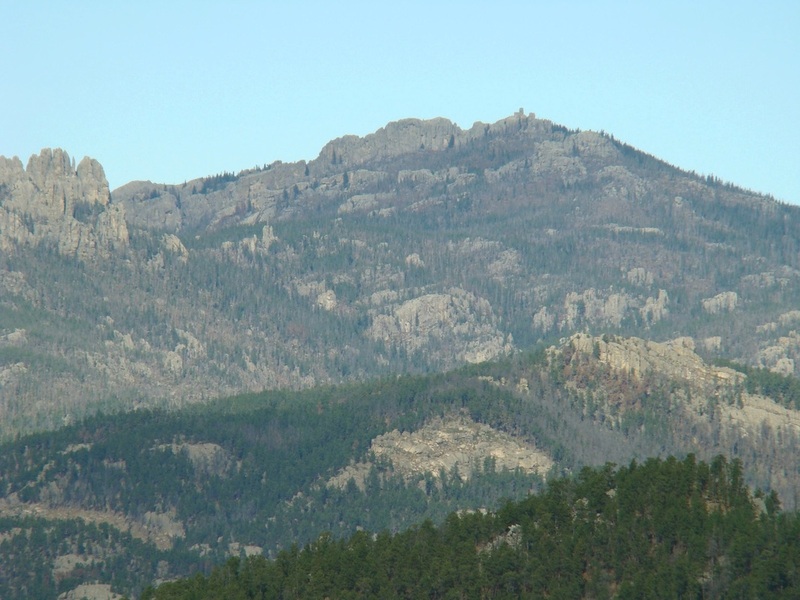 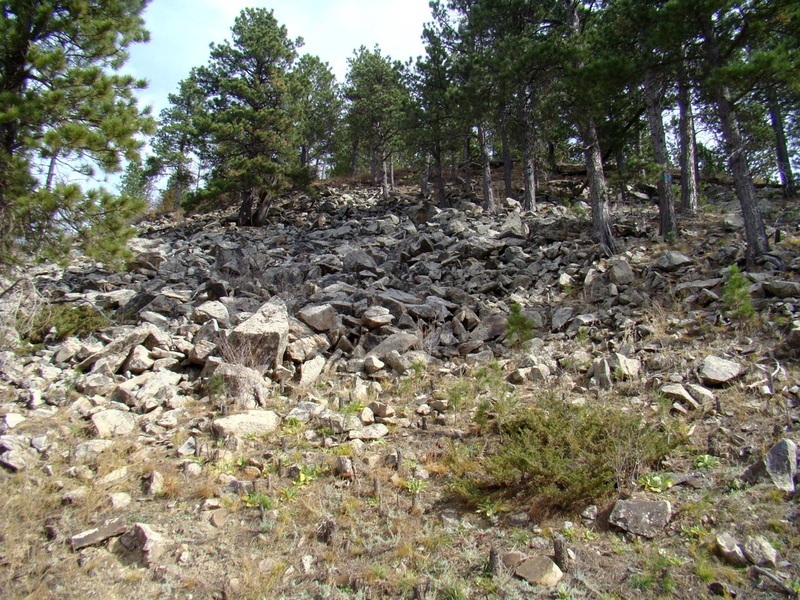 Mount Coolidge is 8.2 miles east of Custer. 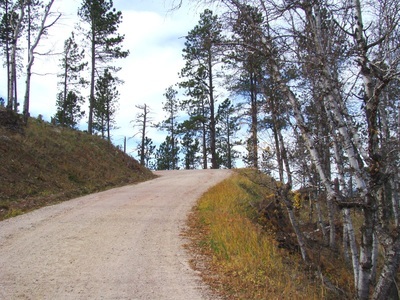 To get there drive 6.5 miles east on Highway 16A to Highway 87, then south 1.7 miles to the Mount Coolidge Road. If the road is closed, park anywhere that you will not obstruct traffic. A route map is posted in the photos below.